Since 1979, Canyon Ranch® has topped many lists as the ultimate wellness destination, renowned for its integrated approach to empowering people to live healthier lives. 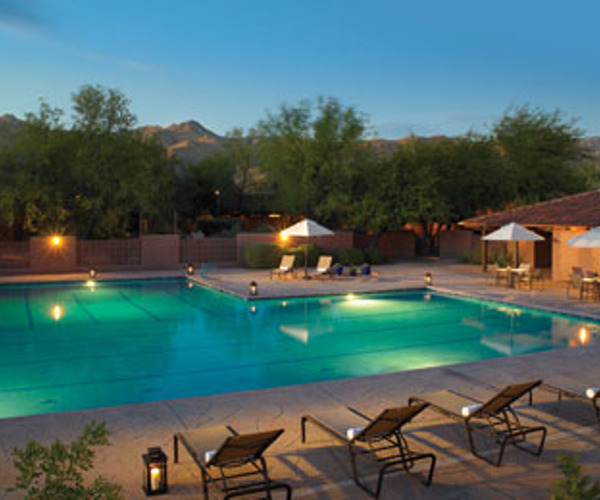 The Tucson resort, located on 150 acres in the stunning Sonoran Desert of Southern Arizona, is the choice of knowledgeable spa-goers who return again and again to experience the casual elegance, extraordinary offerings and warm personal attention for which Canyon Ranch is known. An all-inclusive Canyon Ranch stay offers an extensive array of activities, from soul-soothing spa rituals to high-energy mountain hikes. Guests can choose from more than 40 fitness activities and mind-body classes daily. Unhurried consultations with top fitness, spirituality, medical and wellness experts are personalized and meaningful. Luxurious body treatments and skin care services deliver pure relaxation. It’s an immersive experience that transcends the ordinary vacation. The world-class facilities and incomparable professional staff at Canyon Ranch include Program Advisors who help curate each guest’s stay. A comprehensive guide lists year-round indoor and outdoor services and activities, with hundreds of opportunities for fitness, pleasure and mind-body wellness. The extensive spa menu includes more than 100 select services and features luxurious signature favorites such as the Canyon Stone Massage; Watsu®, a stress-melting, moving massage in water; and blissful ayurvedic body treatments enhanced by fragrant herbs and soothing oils. From results-driven and advanced therapies to treatments inspired by traditional practices, guests indulge in a level of service that has earned Canyon Ranch international acclaim year after year. At the Health & Healing Center, guests can have a personalized physical exam with renowned physicians practicing integrative medicine. The center offers a full range of diagnostic services. Complementary medicine offerings include Chinese medicine, chiropractic, healing energy, ayurvedic treatments, herbal medicine and more. The new Spiritual Wellness Center with its Sanctuary and Meditation Garden is the perfect setting for guided spirituality sessions, personal reflection or group meditation. To explore healthy living in depth, guests can opt to take part in the Life Enhancement Program®. Offered in its own beautiful building, this weeklong, small-group experience provides the perfect opportunity to make positive lifestyle changes. Special-interest programs are presented throughout the year on topics such as weight loss, brain health, spirituality and more. 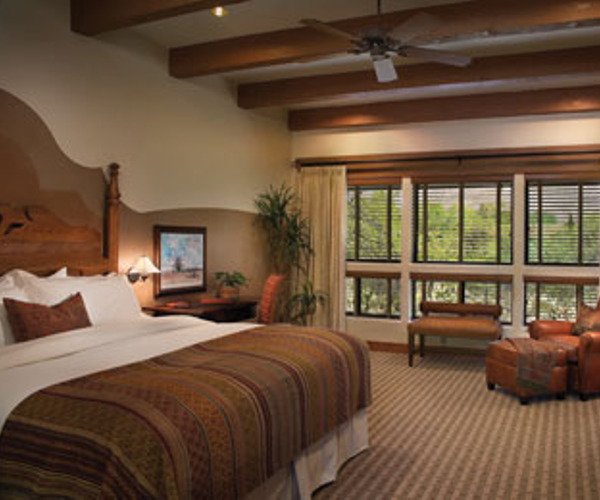 Every Canyon Ranch experience is memorable. Guests can bike through stunning desert scenery, join the hikes through magnificent canyons and pine-topped mountains, play tennis under sunny skies, work on their swing skills at the Golf Performance Center, or swim in four inviting pools. State-of-the-art weights and exercise rooms. Six gyms, yoga studio and indoor cycling room. Pilates and movement therapy studio. An Aquatic Center with pools for Watsu®, aquatic therapy (underwater treadmill), cross-training and indoor swimming. Wallyball, racquetball and squash courts. High ropes course, zipline and rock-climbing wall. Canyon Ranch Healthy Feet® Center. More than 30 massage and body treatment rooms. Men's and women's locker rooms, complete with steam and inhalation rooms, saunas, cold plunges, sunbathing decks and whirlpools. Clustered throughout the lush grounds, the one-story, gracious accommodations are built in harmony with the desert terrain and palette. Comfortable private retreats are designed with original artwork and extensive amenities. Accoutrements include feather beds, pillow menus, Mascioni luxury Italian linens, iPod docking stations and complimentary Wi-Fi. Award-winning Canyon Ranch cuisine raises the culinary bar with inspired, seasonal farm-to-table fare based on the Mediterranean Diet. Chefs work with top nutritionists to create abundant, satisfying food, using locally sourced, hormone- and antibiotic-free meats and organic or pesticide-free fruits and vegetables whenever possible. As a partner in the Monterey Bay Seafood Watch® program, Canyon Ranch serves only seafood farmed or fished in ways that minimize environmental impact. Venues include the Clubhouse Dining Room with a full menu for breakfast, lunch and dinner. The Double U Café offers service in an indoor/outdoor café setting. Menu choices include tapas-style small plates, artisanal pizza, sandwiches and wraps, salads, desserts, snacks and nutritious smoothies. The Double U Café also hosts a coffee and espresso bar. Because a stay includes all meals, there are no prices on the menus. Instead, guests will find the nutritional content of every selection. In addition to enjoying meals, guests can learn how to eat better for life in workshops, consultations, or discussions with top-notch Canyon Ranch nutritionists.